What Do You Do When The Chickens Finally Do Come Home To Roost? Ever wonder where such descriptive idioms come from? 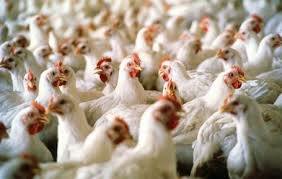 You would think that it would come from a farmer who was well-acquainted with the ways of barnyard chickens. You have to believe that when they do come back to roost at night, there is a fair amount of noise and cackling and general filth that has to be cleaned up on a regular basis. "Curses are like young chickens: they always come home to roost." Well, when it comes to federal budgeting policy, 'multiple past poor budget decisions' are like those same 'curses'. And they are coming home to roost right now right before our very eyes. That is it. When a dollar leaves Washington DC to pay for any federal program from defense to Social Security to Mohair price supports (yes, there really is such a thing for Mohair farmers in Texas), it comes from either your taxes paid every week, month and year OR from bonds issued to foreign sovereign nations, corporations, foundations or (mostly) wealthy individuals domestic and abroad. There is no Tinker Bell pixie fairy stardust anyone can turn to to pay for anything. Those are the only two options. Choose your chicken. Or your poison, depending on your perspective. 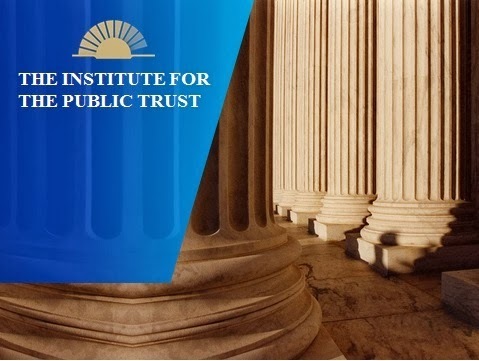 Borrowing more money over the past 40 years has always been the pressure safety valve to which less-then-principled elected officials almost always resorted instead of making the very difficult decisions as to raise taxes to pay for new programs or cut spending on existing programs to pay for any new program. When the federal national debt is 33% of GDP as it was just as recently as 20 years ago, the adverse consequences of adding more debt are not as dangerous as when national debt is approaching 75-80% of GDP as it is today. No sane person would answer in the affirmative. The Trump Administration has floated the idea of reducing federal spending by over $10 trillion over the next 10 years to the collective gasp of naysayers. We will talk more about this as it develops but since 2001, at least, every federal policy decision has been towards increasing deficit-spending and debt by passing more tax cuts AND more federal spending. 2 of the easiest and most popular things for any Congressman, Senator or President to do. 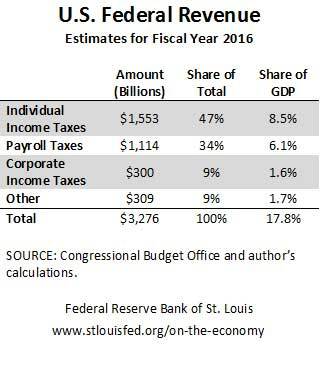 The federal budget is about $4 trillion now. Assume in 10 years it will grow to $6.5 trillion under current growth estimates which is what CBO says it will be. That is about $53 trillion or so of collective accumulated federal spending expected to go out the door over the next decade. A $10 trillion 'reduction' from that gross amount is about 19% from the total amount. But instead of federal spending being $6.5 trillion in 2027, taking these somewhat urgent steps now would lower baseline spending so that federal spending in 2027 would 'only' be, say, $6 trillion, not $6.5 trillion. FED SPENDING WOULD STILL BE ABOUT 50% HIGHER THAN TODAY UNDER THAT ASSUMPTION! It just wouldn't be as much as some people would like it. It is either cut spending now or add another $10 trillion to the $20 trillion debt we now have which would be 120% of GDP in 2027. And that might be all she wrote...as they say. This is the price of inaction on controlling federal spending from 2002 to 2017. You will note that covers Presidents W, Obama, and both Republican AND Democrat control of Congress and the Senate. Chickens really don't care what they do when they come home to roost for the night. Or the week. Or the decade. Neither does debt. It has to be paid regardless of who is in power. Debt rules the roost. We have to do something dramatic to arrest it. 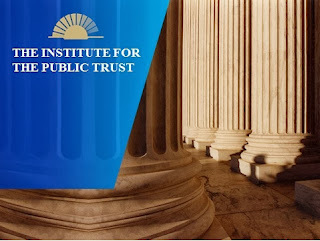 Know how many people in the United States of America have a firm grasp of unadulterated, unbiased hard data when it comes to understanding federal tax, budget and health policy? About as many people as who have been reading Telemachus these past 8 years now. We wish that number was in the multi-million but it is not. So congratulations for being in the 'enlightened' group. Sort of funny but sad and true. You can add accounting according to GAAP principles, basic fundamental processes of business on a day-to-day practice; tax policy or law and a varied array of other issues that underpin our free market economy. Which is another set of reasons why we need more business people from the private sector to run and serve in elective office locally while still working and probably while retired in Congress or state legislatures. 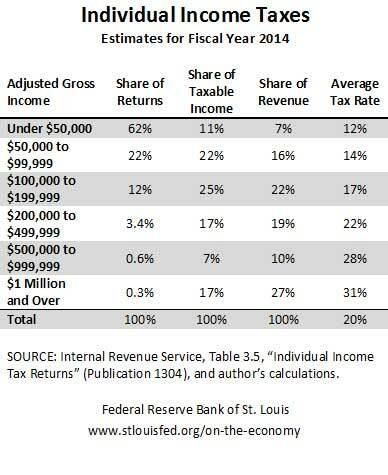 Take a good long look at the two tax charts above put together by the St. Louis Federal Reserve Board. It is about as stark and unbiased of a presentation of the facts about who pays which tax and how much across income categories. No distortion of the facts to show how an ever-decreasing percentage of upper-income folks are paying a large part of the individual income tax burden; no slanting of the data to show how rich people and corporations are 'not paying their fair share!' (whatever that is on any given day); no bashing of the '47%' who are not paying any federal income tax at all because successive Congresses have kept excluding more people from paying any federal income taxes at all. We hope this Congress and this new President can once and for all and for everyone's sake clear the underbrush out from our entire tax code and eliminate most if not all tax exemptions, exclusions, credits and allowances, all of which were inserted by some sly or nervy lobbying group for this particular group or another. General overall lower tax rates coupled with elimination of such tax shelters not only should rev up the economic engine of the US after these last 8 years of being gummed up by more taxation and regulation but it probably would generate more tax revenue as wealthy people and corporations stop paying expensive tax lawyers and accountants to hide their money and just pay the lower rates and be done with it. It would help the public dialogue if everyone memorized these charts above. You be the first and set us on a new path toward reasoned civil discourse in America. Was The Overall Cost of Obamacare Worth It? You are going to see and hear a lot of debate in the next few months about 'repeal and replace' the ACA, otherwise known as 'The Affordable Care Act', aka 'Obamacare'. The question really seems to revolve around the issue of whether it is truly 'affordable' or not, yes? Not just to the individuals who have been added to the Medicaid rolls, essentially for free, or to the individuals who have been able to afford subsidized health insurance on the exchanges but to everyone as a whole when counted collectively as federal and state taxpayers and individually as participants in the private health insurance market where many to most people have seen their private health care premiums simply explode over the past 6 years of implementation. Roughly 11 million people are considered 'dual eligible' for Medicaid and Medicare due to their age and income status. There are only 313 million people in the US today and the above totals add up to 343 million less the 11 million dual-eligibles for a total of 332 million so there is a lot of double-counting going on somewhere in the official CBO/Joint Tax Committee 'éstimates'. Dual-eligibles make up 14% of Medicaid enrollment, yet spend approximately 36% of Medicaid expenditures. Dual-eligibles total 20% of Medicare enrollment, and spend 31% of Medicare dollars. The total amount of government funds spent on dual-eligibles accounted for close to $300 billion in 2011 alone. 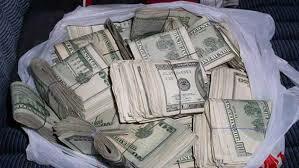 It has to be close to $400 billion today spent between the federal government 100% through Medicare and mostly through the federal share of Medicaid plus the matching state funds. It might be wise to consider some sort of new category entirely in the federal budget to deal solely with dual eligibles in any upcoming health care reform. There will be a test tomorrow on all these facts. Imagine you are a freshman Congressperson from Idaho who has just been sworn in to uphold the Constitution 'to the best of your ability' and you really wanted to go to Congress to work on ranch issues and 2nd Amendment rights. The first thing you might be asked to vote on is the overhaul of close to 17% of our national economy and 'repeal and replace Obamacare' in the next 100 days. Given the immense complexity of the issue as evidenced by the above stats from CBO and Joint Tax, do you think you would be ready to cast such a momentous vote as one of your first acts in Congress? Estimates are that since the passage of the ACA in 2010, roughly 15 million people have been added to the Medicaid rolls mostly across the 31 states (including DC) that enacted Medicaid Expansion as allowed under ACA. Another 10 million people are estimated to have been added to the private insurance rolls under the subsidized federal exchanges in the states that enacted such exchanges. However, other estimates say that close to 5 million people who previously had private insurance or employer-sponsored insurance either dropped their coverage, lost it or couldn't afford it as private insurance premiums skyrocketed in many cases over the past 4 years, 25%+ per year in many of those cases. In the private individual market, we experienced at least a 25% per year annual increase. We are fortunate to still have coverage and be able to pay for it. Many people couldn't do it. So, after all of the Sturm und Drang and political angst over Obamacare, with 2 congressional elections in between passage of it and today including one of the nastiest presidential elections ever in American history, we think we can fairly say that 15 million previously uninsured people are now covered by Medicaid through the ACA and 10 million new people may have private federal-taxpayer subsidized insurance but that accounts for only a net gain of say 5 million more people covered by private insurance since the passage of the ACA. Was it worth it? That is the question Congress and the new President will have to answer in the coming months. What we would like to see but is beyond our capacity to ever guess-timate is a report that adds up the entire cost of the spiraling, escalated private insurance for everyone other than the new 10 million enrollees in the federal exchanges, the 164 million people covered by private insurance either through employer-paid plans or non-group individual plans, over the past 4 years and compares that to the direct cost of paying for the expanded cost of Medicaid with the 15 million new enrollees plus the subsidy costs of the 10 million people who now have health insurance. That must be an enormous number when you add up the additional cost of the health care plans for 164 million people paying anywhere from 10%-35% more per year for the past 4 years. It may be that it might have been less expensive to us as a nation as a whole to have included not only the 15 million new enrollees in Medicaid expansion as has already happened but also have added the 10 million people enrolled in the federally-subsidized ACA exchanges into Medicaid instead of the exchanges and hoped that the 10-35% annual increases in the vast majority of private insurance plans might have moderated some to at least single digits, not high double digits since 2013.